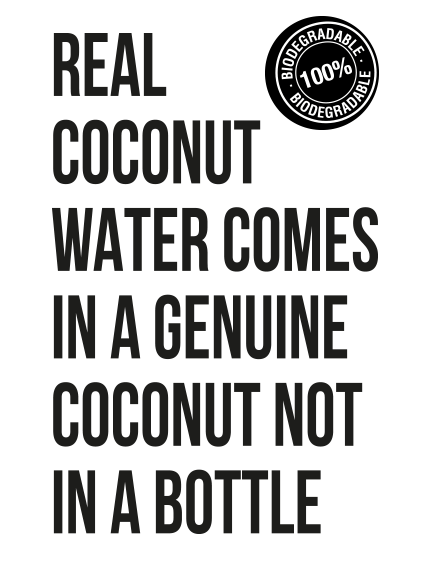 Genuine trink Coconut is a high quality organic coconut, with a large amount of water and meat. It is consumed directly from the coconut itself, the best possible container for its conservation and of course ecological. 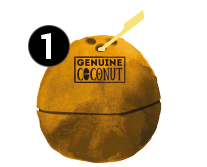 Its easy opening system allows to drink and eat the coconut in the most sensible way, being able to consume it in any place without using tools. A delicious drink and a healthy snack to enjoy as and when you want. Drilling the shell with a bamboo straw to drink its water and opening the coconut in two halves without the need for tools. Surprising? Easy and surprisingly tasty! 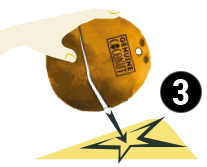 With an absolutely natural packaging, this product avoids the use of polluting components bringing nature directly to your hands. In addition to the coconut nut, all its elements of the pack are 100% biodegradable: Its bamboo stick with paper wrap, its label made of PLA (Compound made with corn starch) and its biodegradable straw specially developed for Genuine Coconut Drink & Eat . Organic Quality Certificate, Genuine Coconut takes care of your health and well-being, providing a totally natural and chemical-free food. With this, we also take care of our planet, reducing the pollution of the environment, favoring biodiversity and making proper use of natural resources. Coco only under a palm tree? Enjoy it where you want. 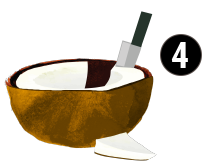 The philosophy of Coconut is to take care of its body and your mind, enjoying a unique flavor. Hydrate, refresh yourself with its delicious meat. Easy to open and transport, it is a drink and snack ideal for any situation … at home or at work, at a gym, barbecue or picnic: Genuine Coconut Drink & Eat. 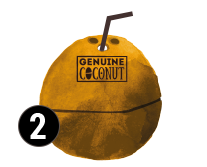 Genuine Coconut Drink & Eat is so easy to open that it does not need tools or great physical strength. If you want the meat to come out so easy that even a child can do it without any risk, you can freeze Genuine Coconut, once opened, for 12 hours. After this time, remove it, and with only a minute of microwave (90 W) will be ready to eat. In this way, the meat is separated more easily.